IV Wheel of Conversation - What is Democracy? On 09/27/17 at 10:30 a further round of talk will be held. 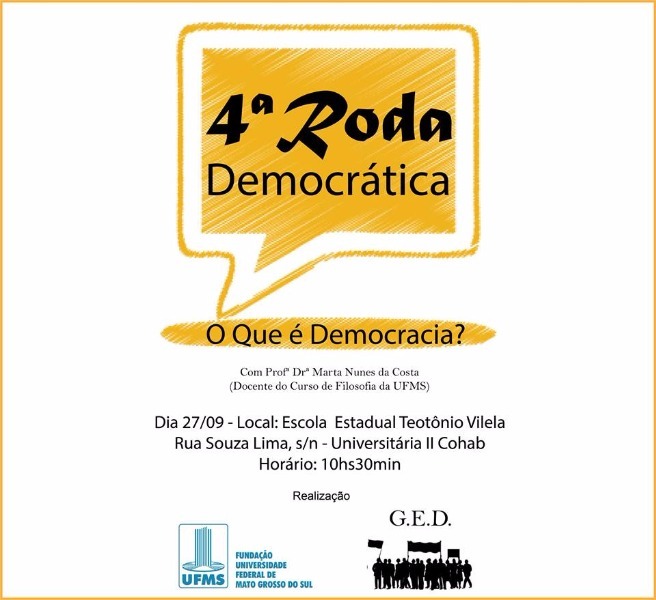 Once again the theme: What is Democracy? The talk will be with young students of the Teotônio Vilela State School, located at Souza Lima S / N - Cohab Avenue, southern region of Campo Grande - MS.